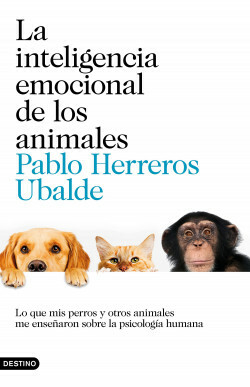 Through these pages, the reader will discover that animals, like humans, also have emotions, and will learn about the similarities and differences between their emotional world and our own. Using the most interesting scientific case studies, the book will reveal fundamental and largely unknown aspects of our species. How can all this knowledge of the emotional world of animals help us to understand ourselves and to manage our own emotions? How can animals help us with human psychology? All this can be discovered from what nature teaches us, because when we investigate how an animal feels or thinks, not only are we discovering them, but they also give us answers to such interesting questions about ourselves as why we cry, why we feel that we are dying for love, why we laugh our heads off or why our health deteriorates when we feel alone. A book for sensitive animals only.